Shirley Ballas has had anything but an easy ride since replacing head judge Len Goodman on this year’s series of Strictly Come Dancing. 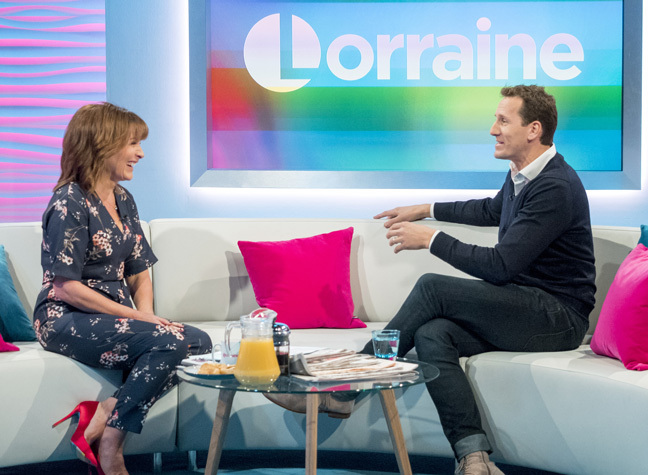 And it was recently rumoured that Shirley had got another battle on her hands in the form of professional dancer Brendan Cole. Brendan was reportedly seen shouting down at the judges from the bannister in the latest episode of the BBC One show, saying that Shirley had underscored Mollie King by giving her a six. It’s also been alleged that Brendan has made a point to ignore Shirley backstage. “Brendan goes out of his way to ignore Shirley backstage during show breaks and makes her feel very uncomfortable,” an alleged source told The Sun. In a previous episode of the show, he also hit back at the head judge over her criticisms of his partner Good Morning Britain presenter Charlotte Hawkins. However, Brendan has now directly responded to the rumours of a feud between the pair, speaking live on Lorraine. And he admitted that there’s almost no truth in the speculation. “They’ve also said that I’ve been ignoring Shirley backstage, but I haven’t seen Shirley backstage! Shirley, if I do ever see you backstage, I am going to ignore you out of principle! However, Brendan did confess that he recognises how, and why, he can rub some people up the wrong way. Brendan said, “Unfortunately, I tend to get that reaction whenever I am on air – but I never mean any offence. “I bring it upon myself. I tend to get a bit more argumentative than the rest of the pros. But I’ll tell you a little secret, the rest of the pros in the changing room [have a lot to say]. Unfortunately, I can’t control myself enough to keep my thoughts in the changing room. I have to do it live on air. “It’s frustrating because I’m not a horrible person. I’m a nice person. My wife will tell you – and my mum! It’s just one of those things. I don’t hold back. It’s also thought that Brendan might have had enough of the show full stop, with recent speculation that he might not be returning to Strictly in 2018 after he gave a very emotional leaving speech for partner Charlotte. We’re hoping he stays for at least another few seasons!